Nivia Eden Cricket Shoes Have A Natural Rubber Outsole With Tpu Component And A Full Synthetic Leather Upper With Embossed Component And Padded Collar. This pair of sports shoes is provided with a rubber outsole that delivers excellent traction and durability. Nivia Eden Cricket Shoes Have A Natural Rubber Outsole With Tpu Component And A Full Synthetic Leather Upper With Embossed Component And Padded Collar. This pair of sports shoes is provided with a rubber outsole that delivers excellent traction and durability. Nivia eden cricket shoe uses Phylon mid sole & natural rubber outsole with TPU component which keeps your feet comfortable and dry after a long day of play. The shoe has more mesh, which allows for a larger surface area to transfer moisture. The cushioned ankles offer you grip and comfort when you run across the pitch to complete your runs. Designed in white these cricket shoes have attractive panel detailing that can heighten your style quotient. 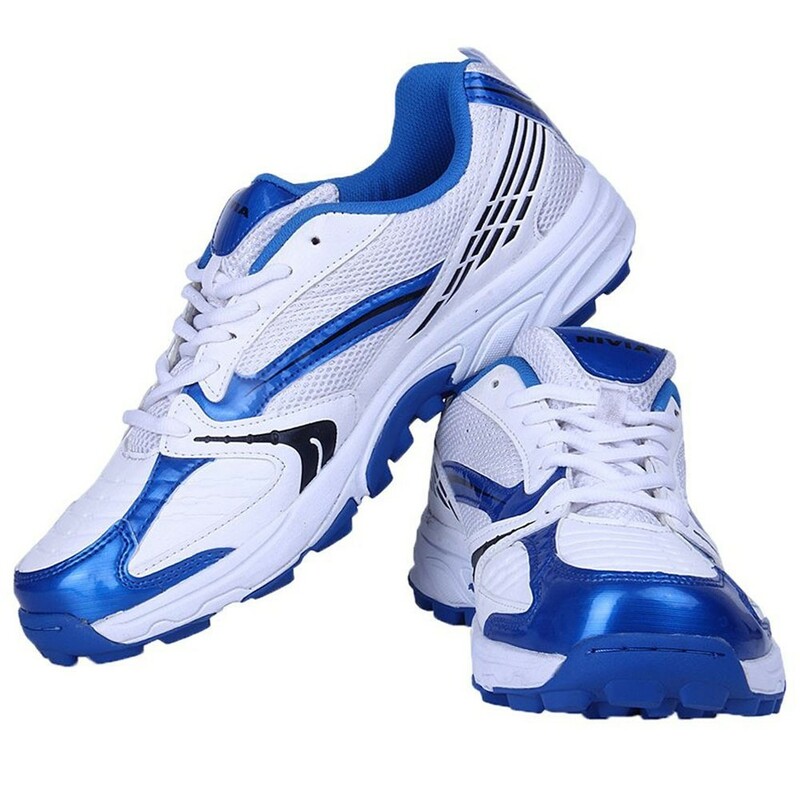 These shoes are made of great quality and are very durable and long lasting.